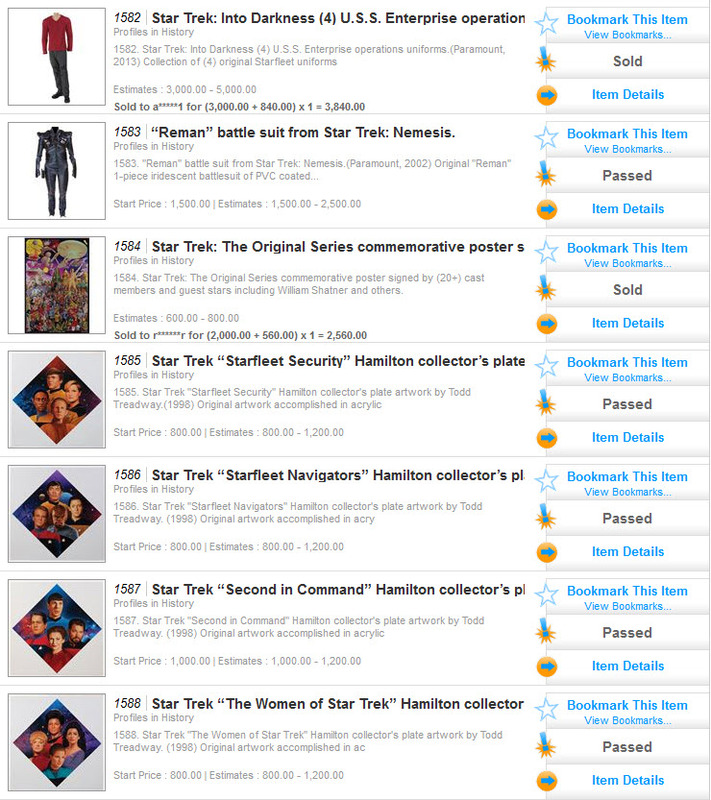 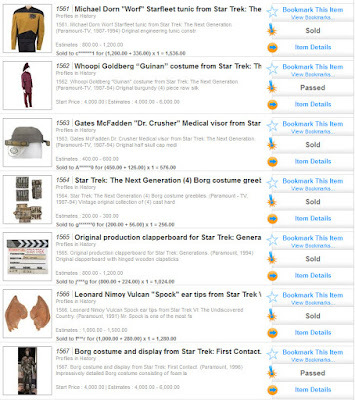 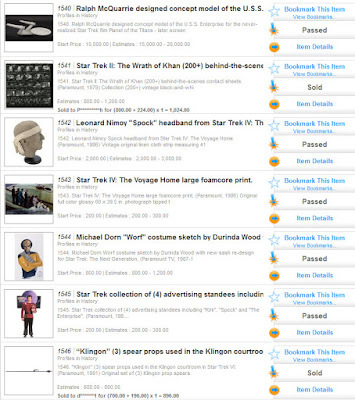 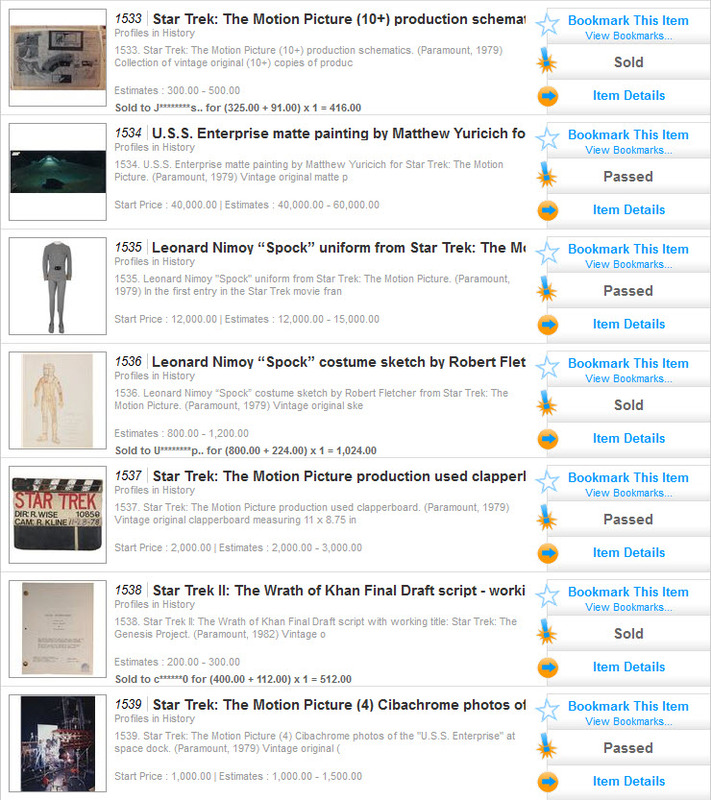 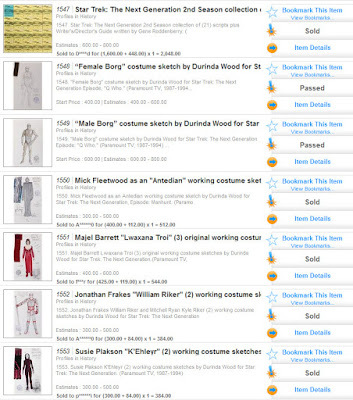 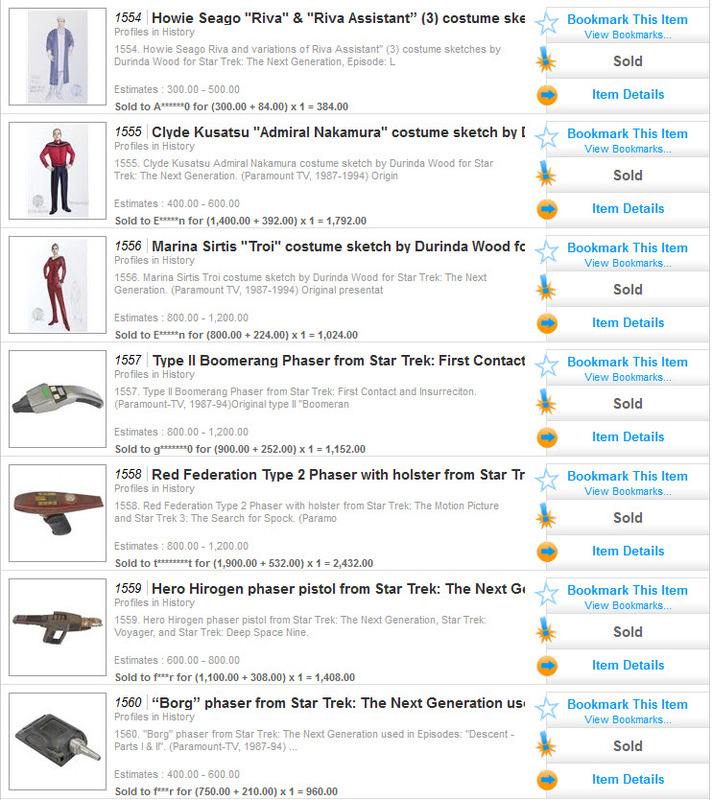 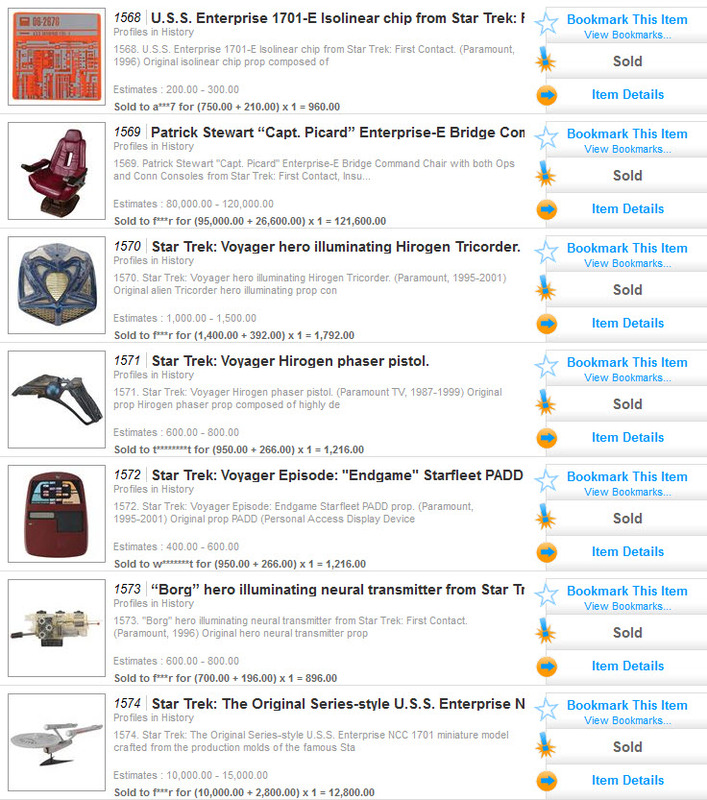 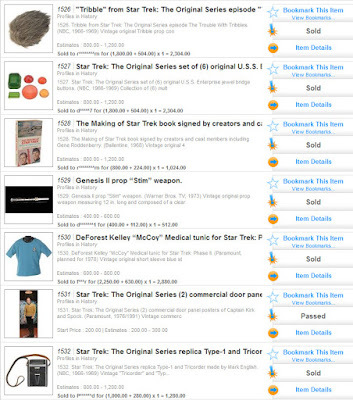 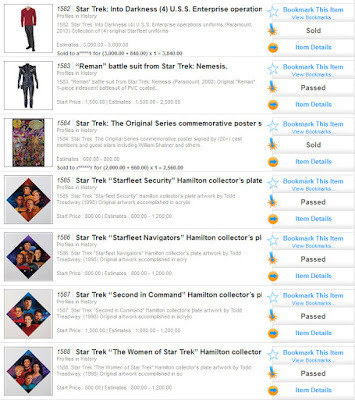 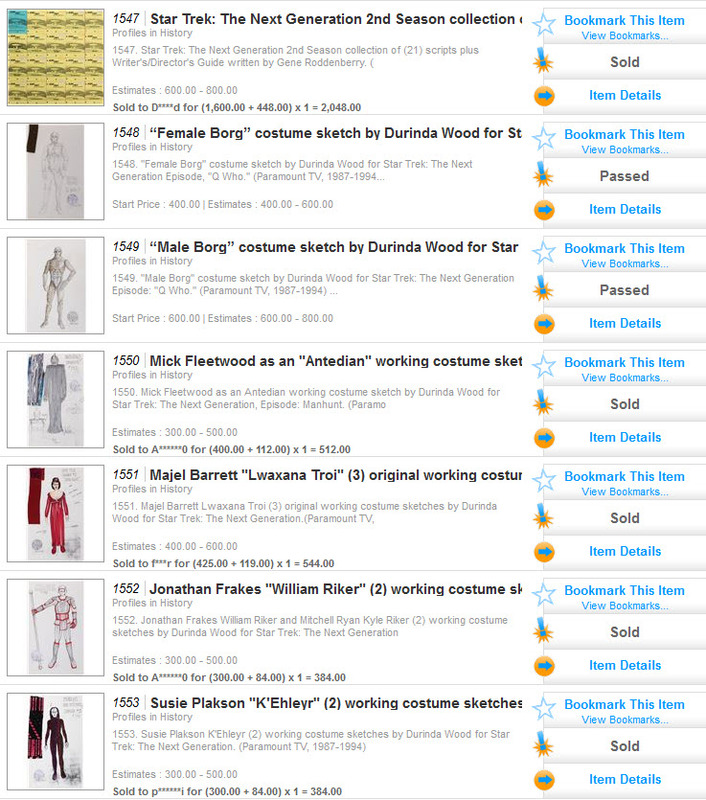 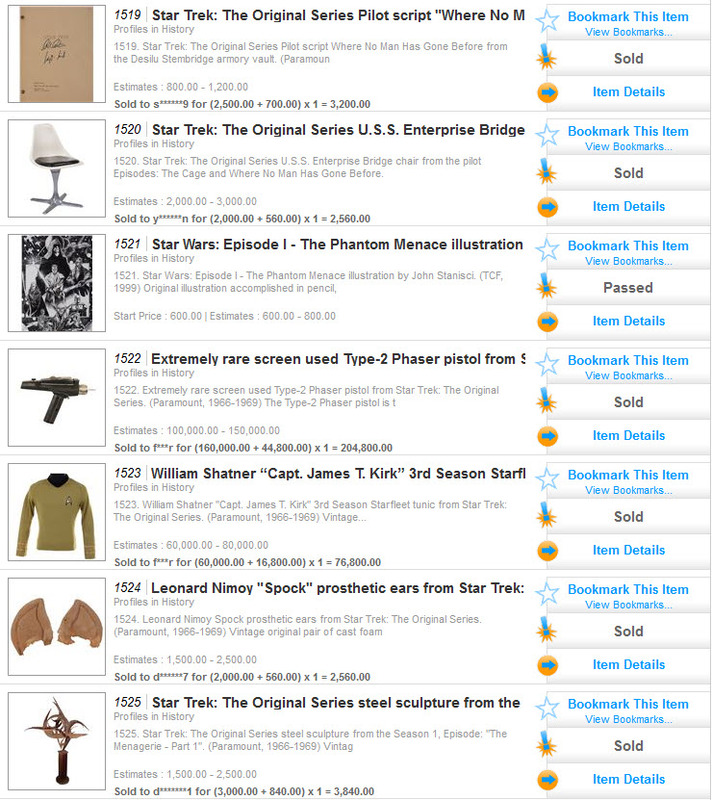 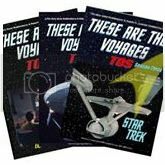 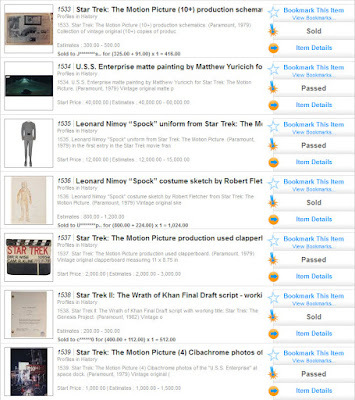 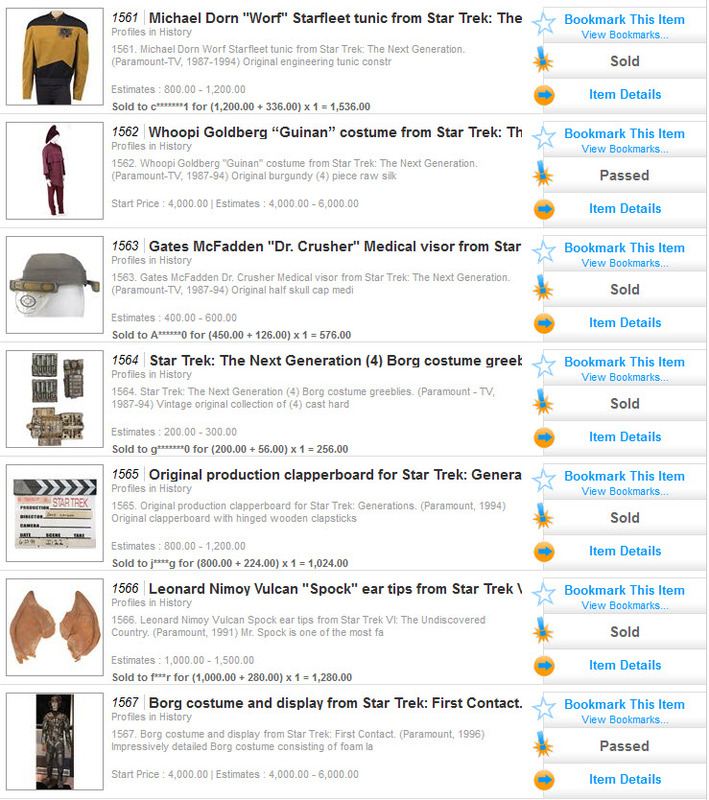 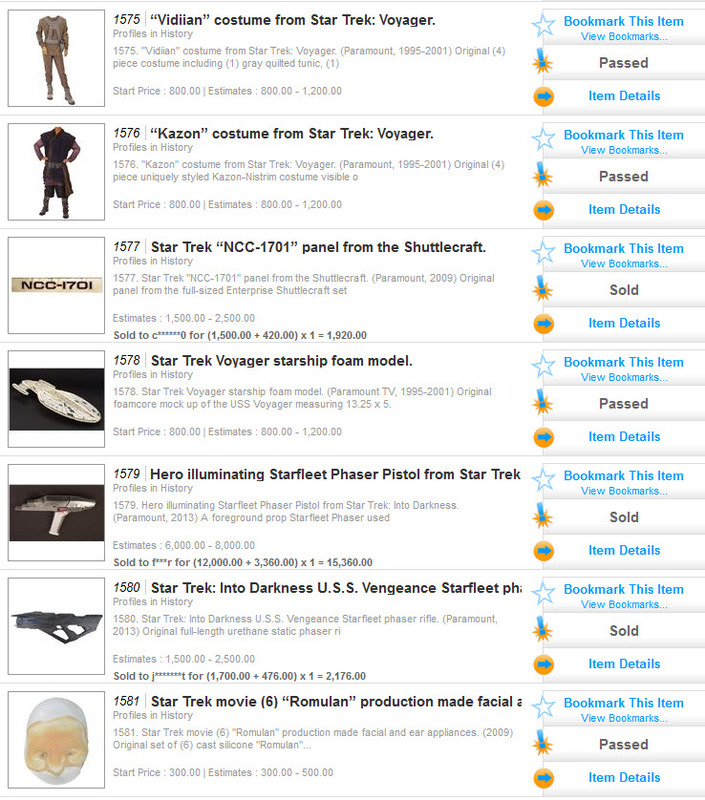 Presented below is the complete set of final prices realized for the 70 lots of Star Trek memorabilia that were offered in Profiles In History's Hollywood Auction 96; which concluded this afternoon in a live online bidding session at icollector.com. 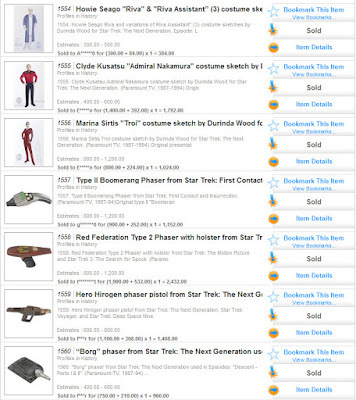 The Original Series memorabilia performed exceptionally well, with Lot 1522, the Type II Phaser Pistol selling for an astounding $204,800 (with a high bid of $160,000 + $44,800 buyers premium) and Lot 1523, the William Shatner 3rd Season Captain Kirk tunic realizing a final price of $76,800 (on a high bid of $60,000 plus a $16,800 buyers premium). 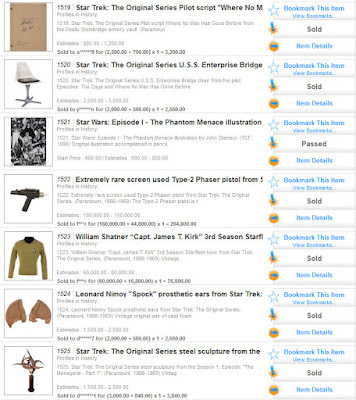 Lot 1579, a hero illuminating Starfleet Phaser from Star Trek: Into Darkness sold for $15,360 and Lot 1574, a Star Trek: Original Series-style U.S.S. 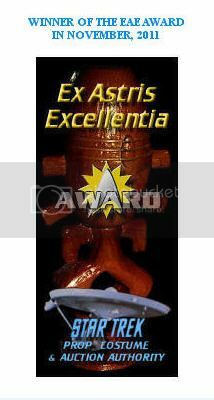 Enterprise NCC 1701 filming miniature from Star Trek: DS9 witnessed a final price of $12,800.